SOUTH CANAAN, PA – With thanks to Almighty God, the administration and faculty of St. Tikhon’s Orthodox Theological Seminary are pleased to announce the recent decision by the Ministry of Education of the Hellenic Republic to recognize St. Tikhon’s Seminary (STS) as an accredited institution of Higher Education, equal in standing to the schools of theology in the universities of Greece. This unexpected and unsolicited honor comes in large part thanks to the efforts of STS alumnus Richard Joseph Bussard (M.Div. ’04). 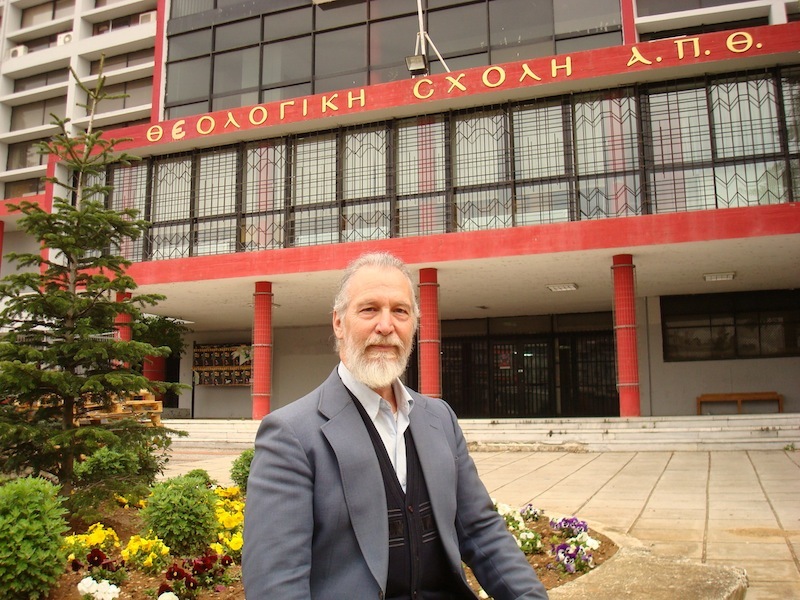 Mr. Bussard has been in Greece pursuing Doctoral studies at the Aristotle University of Thessalonica. It was his tireless efforts, over the past five years, to gain recognition for STS that elicited the momentous decision by the Greek Ministry of Education (GME). The GME has also affirmed that the Master of Divinity degree conferred by STS is equivalent to the first degree in Theology conferred by the Faculties of Theology in the Universities of Athens and Thessalonica, and therefore renders the holder eligible to pursue the graduate studies programs or the doctoral programs (Th.D.) in those universities. Indeed, such is the comprehensiveness of the GME's recognition of STS that graduates of STS also have the option of teaching Religion in the Greek High School system, conditional upon satisfying certain basic requirements, namely, by either taking at STS or testing out of, at Thessalonica or Athens, the following subjects: Byzantine Archeology and Art, History of the Church of Greece, History of Christian Doctrine, Sociology of Christianity, and the Ecumenical Movement. Furthermore, as most of Mr. Bussard’s studies at STS were completed before the Seminary received its full accreditation from the Association of Theological Schools (ATS), the GME’s recognition of STS is retroactive. Moreover, by virtue of Greece’s membership in the European Union (EU), the recognition of STS as an institution of higher theological learning, equal in status with the schools of theology in Greece, also extends to all schools and religious faculties of the universities within the EU’s member states. Hence, M.Div. graduates of STS are now entitled to the same privileges accorded to the graduates in theology of Greece and the EU. The community of St. Tikhon’s is grateful to God for bestowing this great blessing upon our humble efforts to academically prepare and spiritually form pastors and leaders for His Holy Orthodox Church. For more information about St. Tikhon’s Seminary, please email info@stots.edu.